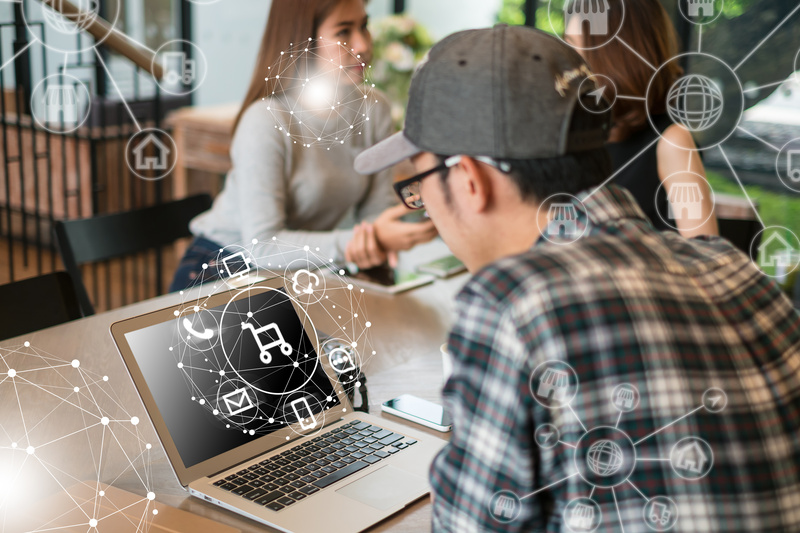 Omnichannel has been a buzzword for almost a decade, but the dream of omnichannel has yet to be realized, as most initiatives are plagued by siloed technologies, processes and gaps -- particularly when it comes to connecting digital efforts to the in-store experience. While retail marketers do a fair job when it comes to integrated and personalized online experiences, few are truly able to leverage customer, product, and sales data in a way that makes real-life shopping personalized and satisfying. With over 50% of consumers regularly using more than four touchpoints to get to the sale, as well as increased demands for perfect execution across channels, the remaining silos between people, processes, and technologies in the store will quickly become an unmitigatable business risk. Despite the hype of online shopping, most purchases are still made in the store; and web-influenced physical store sales capture 5X the revenue of online-only sales. So the importance of the store as a channel can not be overlooked. The hard reality for marketers looking to create the perfect omnichannel world is that running a successful store requires different skill sets than running a website or mobile strategy. And for many marketers with omnichannel aspirations, the biggest gap is a misunderstanding of the unique challenges and opportunities the store presents. In the digital world, it’s much easier to set programs in motion, and allow data to drive future decisions and results. But the store requires the digitization of an incredibly manual asset: people. No matter how many technologically driven adaptations are made to transform the in-store experience, physical shopping remains an incredibly human activity, and that human element can not be overlooked. While online channels have always benefited from the ability to collect information and understand behavior, until recently, conversational marketing and consumer understanding was limited to engagements with store associates -- an approach that doesn’t scale, and is plagued by many challenges. 56 percent of consumers are more likely to shop at a retailer that recognizes them by name, while 90 percent of all customers say they’re more likely to purchase a product if assisted by a knowledgeable associate. Even 66 percent of millennials consider store associates to be “extremely important,” so it’s surprising how little is invested in enabling employees to deliver a memorable experience. While many investments are being made to digitize aspects of the store; such as RFID, traffic counters, smart-shelves, and more, the reality is that too many retailers are leaving store associates behind. With menial tasks taking up the majority of time, the ability to deliver personalized recommendations, capture customer preferences, or even learn new technologies that can provide associates with better understanding of the customer is impossible. This is a missed opportunity, as 45 percent of shoppers expect store sales associates to be knowledgeable about products inside and outside the physical stores, and 41 percent of shoppers want sales associates to know their online shopping history. Fortunately, in recent years, an unlikely solution has emerged to help retailers bring digital sophistication to the store: robots. When acting as a support tool for existing staff, robots can help retailers expand their reach when a customer goes offline. Conversational, humanoid robots -- like Pepper -- make it much easier for retailers to create a trackable, conversational environment, and give sales associates the time they need to really get to know their customers. For many users, Pepper lives at the front of the store, attracts and welcomes customers, answers routine questions, and even collects information that can be used to establish a much richer dialog between shoppers and sales associates. At companies like HSBC, Pepper has increased traffic and new accounts by acting as a friendly brand ambassador, taking over routine tasks, and helping associates spend more time focusing on the customer. And this is the big win for robots in the store. Allowing sales associates to get out of the mundane, so they have the time and space to learn new ways to bring the power of your digital initiatives -- like personalized promotions -- to life. What Investments Are You Making To Bring Omnichannel To The Store? Successful omnichannel retailers understand the time has come to take action and ensure the connections between online and offline data drive behavior in all channels. While change is always an investment, the payoff is there -- as omnichannel shoppers yield a 30% higher lifetime value. If you’re looking for ways to extend your omnichannel strategy to the store, please contact our customer team to learn more about how robots can help you extend the power of your digital marketing efforts into the physical world.